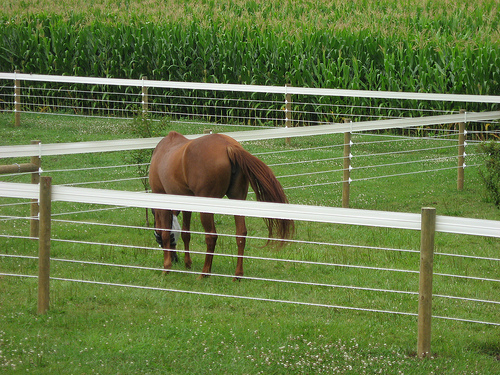 PolyPlus HTP® is permanent fencing that uses a 12.5 gauge pre-straightened galvanized high-tensile wire embedded in a tough HTP® polymer coating to produce a safer and more visible wire fence. 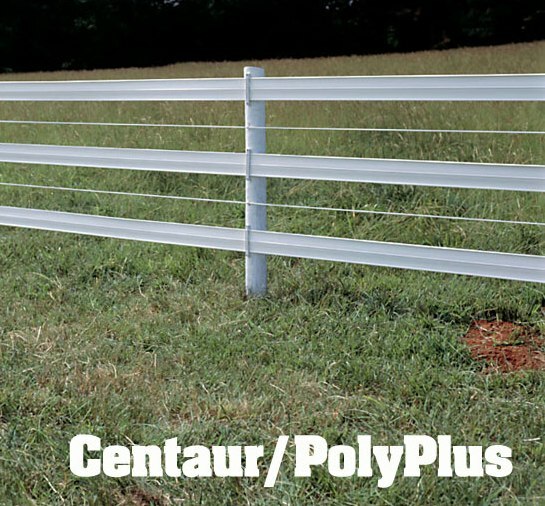 PolyPlus HTP® withstands impact without risking injury to your horse. Our coated design means no slicing or cutting injuries. 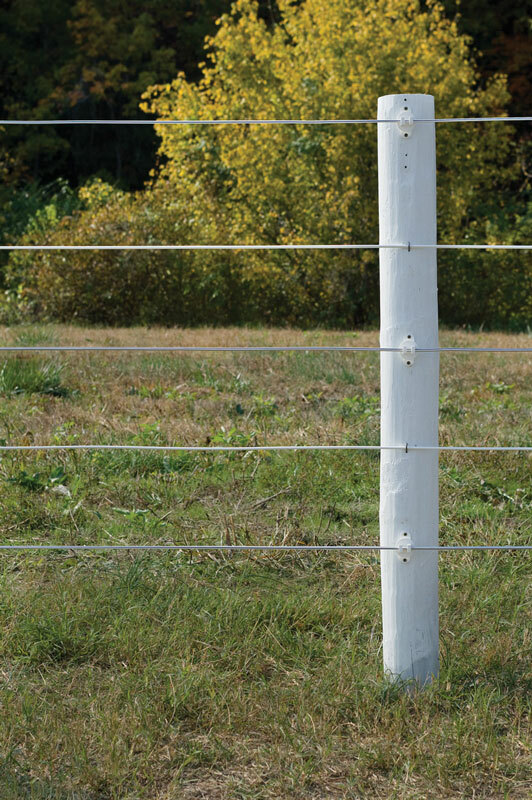 PolyPlus HTP® installs like high-tensile wire and is engineered for durability, resistant to wear and withstands extreme temperature ranges. 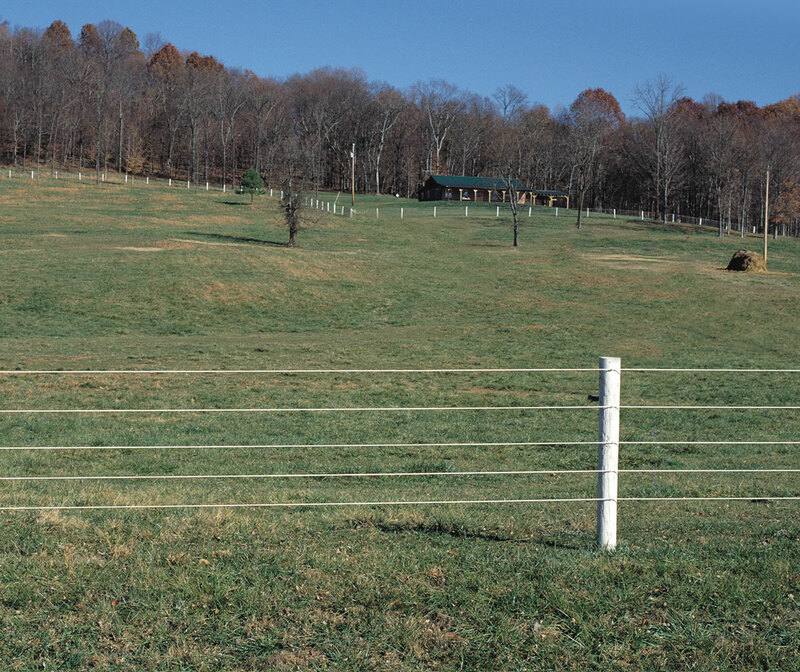 It is effective in high-tensile installations regardless of overall fence length. Centaur® is the inventor of High Tensile Polymer (HTP®), a material that is a blend of impact modifiers, UV stabilizers, and anti-fungicides. 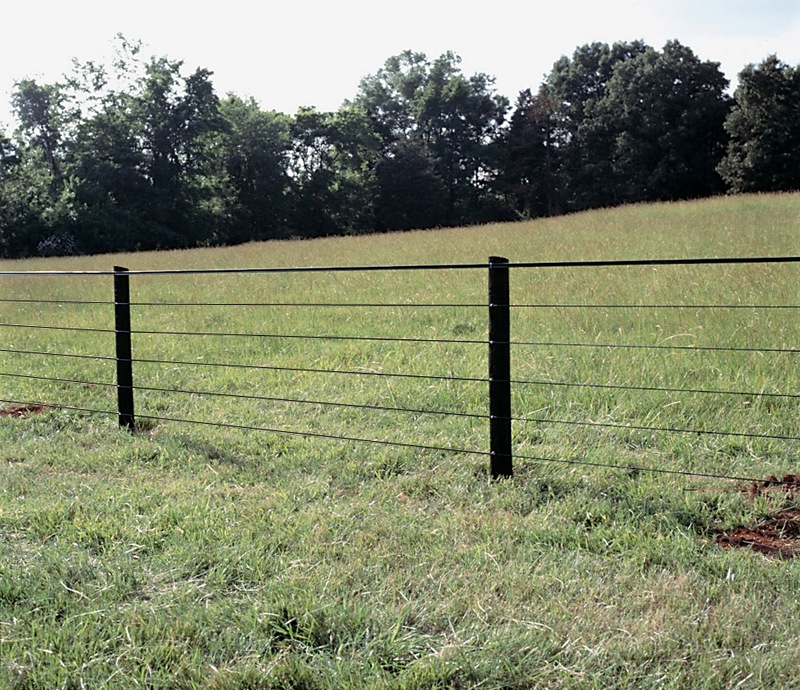 Formulated for strength, durability and appearance, HTP® fencing material is stain and mildew resistant.